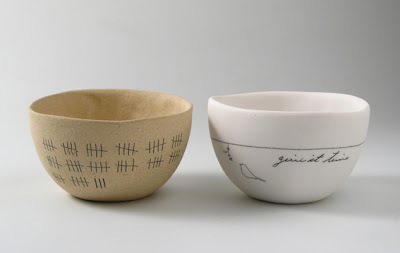 Mel, I love your work - the combination of text, images and ceramics. Thank you, and no, that piece is not mine! Afraid I can't solve the mystery for you either as I don't recognize the work. Interesting text on it though! Quite the collection of pots you have there! great! Looks like a beautiful place you have too, and I also love the word indefatigable!! 3 year olds certainly give true meaning to the word! I'm Natas from Bandung, Indonesia. I salute to you and all artist who care to japan people for earthquake disaster. By the way, i really love your works. It's beautiful. The translucent one, is it bone china? 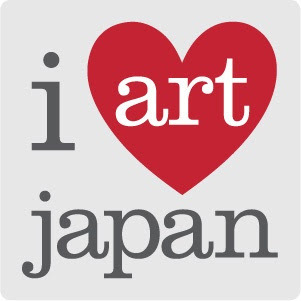 I love the style of "I heART Japan". Thanks for sharing! Those bowls are so nice! Any new ideas or news for us? I would love to order products from your shop this coming holiday season. Been a fan for a long time! Are you making your own silk screen decals? Great post! Been looking into ceramics a lot recently, and i really like your stuff! Thanks for all the pics and info!